University of California, Santa Barbara (UCSB) was founded in 1944 as a public institution, having been initially a teacher training college formed in 1909. It is situated in a campus of around 989 acres in Santa Barbara in the United States of America. There are around 17700 undergraduate students and approximately 2800 postgraduate scholars, in addition to 1050 staff and faculty at the University of California Santa Barbara. The university has an endowment of 430 million US dollars. The chancellor is Henry Yang. The schools sports team is known as the gauchos, and they play in the Big West Conference. It is a member of the University of California. 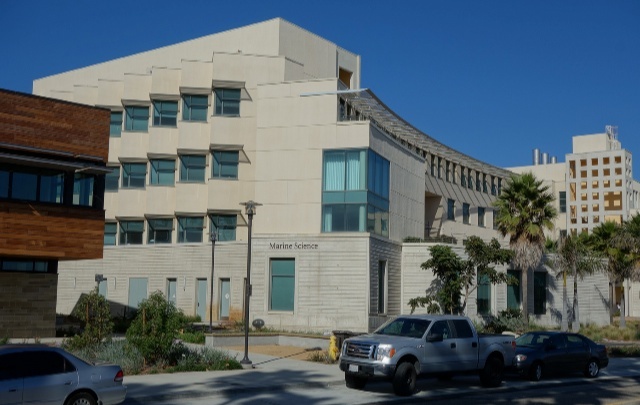 The UC Santa Barbara libraries have around two point eight million books. The main two libraries at UCSB are the arts and the Davidson Libraries. Photograph of University of California, Santa Barbara by Gary Cziko. The University of California, Santa Barbara ranking by the UR site is 29th in the world and 53rd in the US (NB the difference arise because the world listing is more optimised to research work performed by an educational establishment). It is ranked as the 41st best national college by the USNews. The University of California, Santa Barbara tuition fees are $13,746 for in-state and $36,624 for out of state students. It is a very selective college taking in 44% of applicants. Financial aid offered totals $198 million per year, an average of $22,600 per student. Requirements for SATs (25th-75th percentile) are Math 550 – 670, Reading 540 – 650, and writing 540 – 650. The requirements for ACT (25th-75th percentile) are Composite 24 – 29, English 23 – 30, and Math 24 – 30. As a Public Ivy institution, the education offered is similar to found at places like Rutgers University, Indiana University, Bloomington, University of Colorado at Boulder, Michigan State University, and The Ohio State University. Other colleges in California include Stanford, San Diego State, University of California Santa Cruz, UC Riverside, USC, UC Irvine, University of California Davis, UC San Francisco, UC Los Angeles, UC San Diego, CalTech, and UC Berkeley.